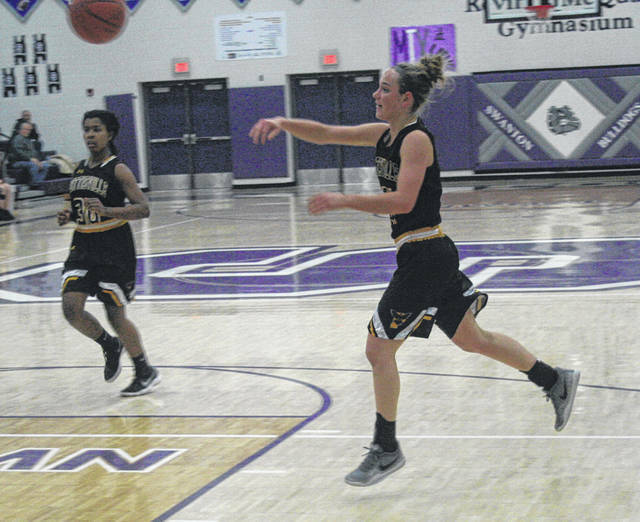 Brandi Schnitkey of Pettisville heads to the basket as Morgan Pine defends for Swanton. 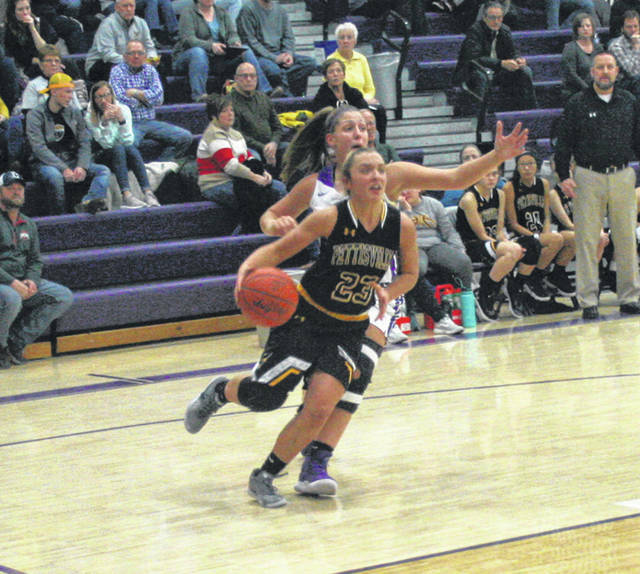 Elizabeth Beck of Pettisville makes a no-look pass into the paint during Tuesday’s game at Swanton. She finished with 9 points for the Blackbirds. 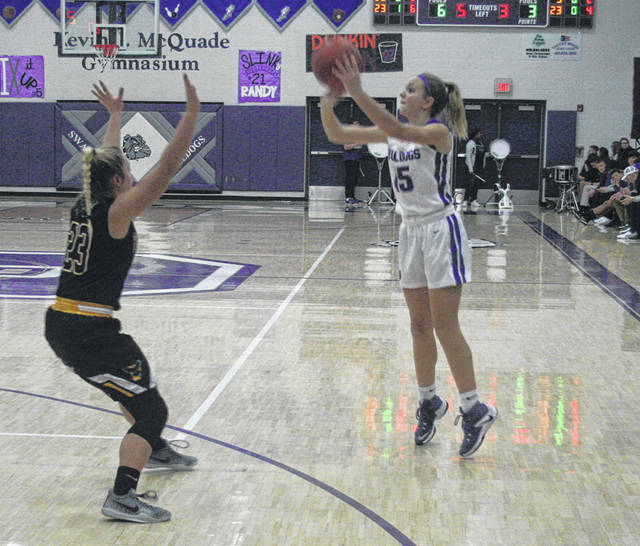 Swanton (6-5) travels to Evergreen Thursday for a Northwest Ohio Athletic League contest. Pettisville (10-4) hosts Stryker Friday in Buckeye Border Conference play.